It’s Official – Blue, Gray & Crimson Is Now Available! Looking for some easy, insightful summer reading? A family read-aloud? A Civil War story for next school year? I spent eight months researching Gettysburg civilians, the battle, and the aftermath before I put pen to paper (or hands to keyboard!). And I’m pleased to share the historical facts in an easy to read, entertaining form. 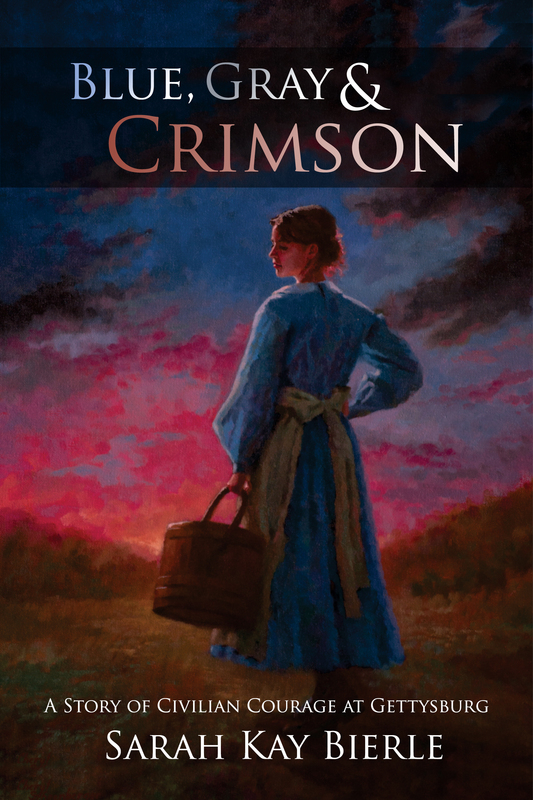 Readers will meet a fourteen year old girl and her family and witness their shock, horror, and confusion as the Battle of Gettysburg explodes on their doorstep. Themes of courage, strong faith, and self-less actions present admirable character qualities throughout the story. Learn more about the story, the history, and the author HERE! Blue, Gray & Crimson is available through Amazon and Barnes&Noble.com. Signed copies are available through Gazette665 – CLICK HERE! P.S. Questions about the book, research, or writing? I’d be happy to answer any questions in the comments!